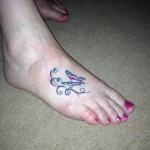 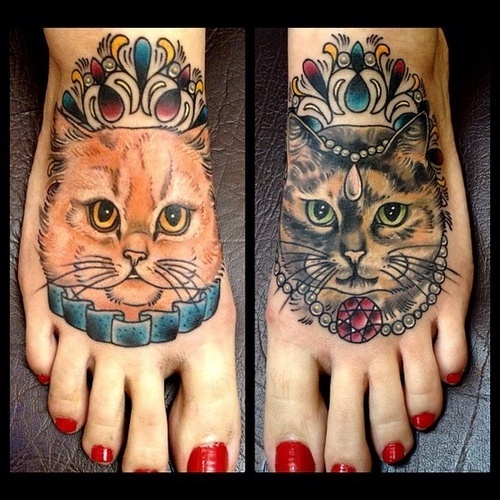 This girls cats grace the tops of both of her feet with these two cat tattoos done portrait style. 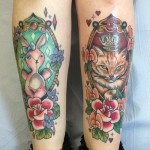 An orange cat and a tabby are very well drawn in these kitty portraits with one wearing a ruffled collar and the other a jeweled collar with headpiece. 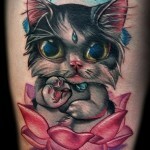 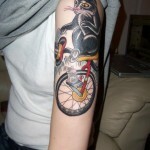 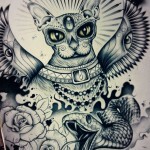 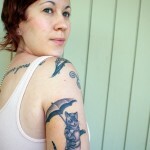 A tattoo for girls who are devoted to her cats!